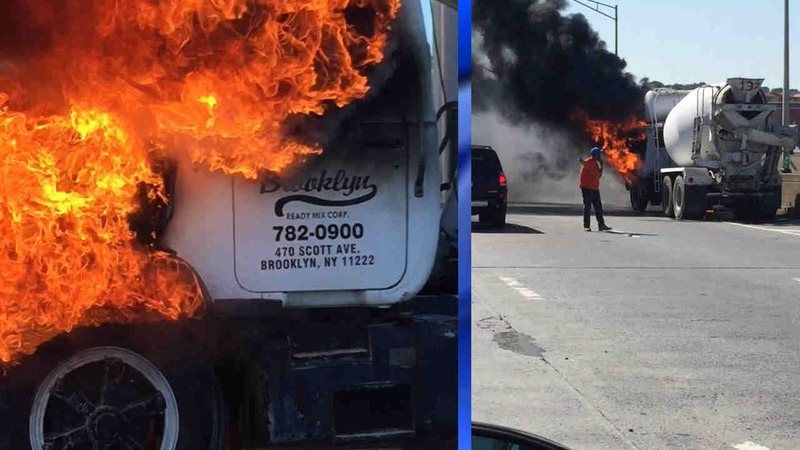 MASPETH, Queens (WABC) -- A cement truck caught fire on the eastbound Long Island Expressway Saturday morning. According to the New York City Fire Department, firefighters responded to the fire around 9:40 a.m. at Greenpoint Avenue near the BQE merge in Maspeth, Queens. The fire was out around 11 a.m. No injuries were reported. The eastbound roadway was initially shut down to allow fire crews to work. The area has since been cleared and around noon there was only a partial lane blockage.